1. Save time and stress with a scholarship search strategy. With thousands of scholarship resources available, there is a lot of information for students and families to sift through to find best-fit scholarships. This method of searching for scholarships costs time as well as causes frustration when students aren't able to find scholarship information easily. In order to save time and reduce stress associated with searching for scholarships, students must create a plan of where and how to search for scholarships, also known as a scholarship search strategy. Students can start with creating a scholarship resume, which is a listing of talents, skills, volunteer experience, and leadership experience. 2. Don't search for scholarships alone. Every student can benefit from having a scholarship search team. 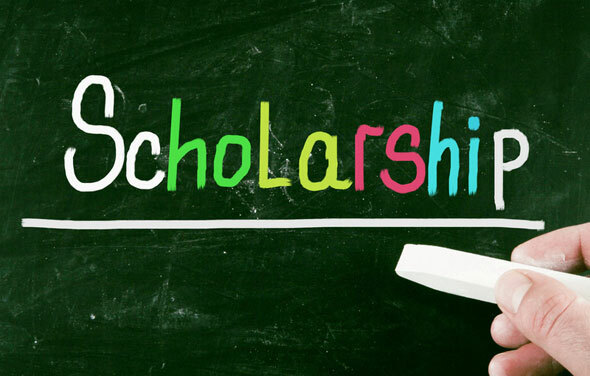 A scholarship search team includes parents, mentors, educators, and others who may have access to scholarship opportunities through employment or association memberships. Students should approach three to five individuals outside of their family members for assistance. 3. Use general scholarship search websites the right way. General scholarship search websites should be a part of every student's scholarship search strategy, but these websites aren't the entire strategy. Students should enter specific details to get best-fit scholarships when searching online. Unfortunately, many general scholarship search websites will sell student's information, so students must be careful when selecting general scholarship search websites. 4. Don't forget to search locally. Organizations that provide local scholarships usually will only share this information with high schools or community organizations in the area. Students should speak with their school counselor and ask for local scholarship opportunities. Since these organizations require applicants to live in the local area, students have a higher chance of winning these scholarship opportunities. 5. Winning scholarship essays contain strong examples, not just facts. Successful scholarship applicants provide solid examples instead of simply stating "I am...". Students must keep in mind that scholarship judges are looking for applicants with leadership experience. Students must maximize their scholarship essays and share details of their leadership activities. 6. There is no scholarship season. Scholarships are available all year long. While colleges have similar deadlines when they are accepting scholarship applications, this isn't the case for all organizations that provide scholarship opportunities. Students must keep in mind that private scholarship providers don't follow a typical schedule and have deadlines throughout the year. Students should never take a break from searching for scholarships even after entering college. 7. 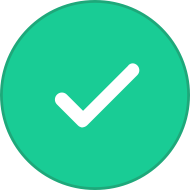 Repurpose and reuse scholarship applications to save time in the scholarship search process. Organizations that provide scholarships tend to ask similar questions. Students can take previous scholarship essays and modify them to fit the requirements of future scholarship applications. For example, many scholarship applications require students to list volunteer and leadership experiences. Students can organize their volunteer and leadership experiences into one document and attach with applications. 8. Take the right approach when asking for letters of recommendations. Students should prepare a scholarship resume to give to people who will be writing letters of recommendations for them. Also, students should ask for strong letters of recommendations and be prepared to follow up within two to four weeks. 9. Use social media to help you find scholarships. Students can find scholarships using their favorite social media websites such as Facebook, Instagram, and Twitter. In an effort to reach more students, scholarship organizations are sharing information about upcoming scholarship opportunities on their social media accounts. Students can find these opportunities by following the organization's accounts and searching for keywords or hashtags including "scholarship" or "money for college". 10. When completing scholarship applications, focus on the mission of the scholarship organization. Before students even look at the scholarship application or requirements, they should spend time reviewing the mission of the scholarship organization. Students who are able to convey their alignment with the mission of the organization have a greater chance of winning the scholarship. 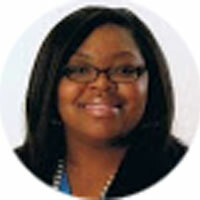 Ashley Hill is a Scholarship Search Strategist and CEO of College Prep Ready. She is passionate about assisting students and families who don’t typically qualify for financial aid with finding merit scholarships. She is the host of her weekly #collegechat on Twitter and her yearly event, College Success Conference. She is currently writing a scholarship book to help students and families find more money for college in less time.